The past few weeks I’ve had stuff to write, but I didn’t know how to go about it without (a) pointing fingers, (b) revealing too much and (c) without sounding like a whiney you-know-what. There’s still a lot of details I can’t, and won’t, go into, but I think I can pretty much sum up. For those that don’t know, I’m one of the GMs in Black Dagger Society in WildStar, along with my husband (Chaide), and a good RL friend. I love the guild. It is a place we feel like folks can come, relax, and be family. And then be successful when folks have the desire to run things. The past few months, however, the guild has taken a direction more from “let’s have fun and down vets for the first time!” to “Let’s raid!”. Now, granted, raiding is something I’d like to do eventually, maybe as a pick up, but based on the focus of the guild, and how it was originally designed, raiding doesn’t particularly appeal to a large base of guildies, and I myself would never want to do it full time. This change sprung a chain reaction. Suffice to say, rifts started happening amongst members who enjoyed the more casual outlook versus the raider outlook. And it caused a fair bit of drama in its own right. But, after ThaydFest, we’re changing the direction of the guild back to that of a more casual “come, play, have fun, and down things at your own pace” with no focus on raiding or warplots. And it is making a lot of folks much happier already. There’s more participation, more talking in guild chat, and more folks in TeamSpeak. I’m happier, too. I don’t have to login to put out fires, or walk on eggshells so as not to create any. It’s been a painful experience emotionally, based on some of the things said and done by others (myself included), but I am glad that we have worked through a “growing pain”, and are moving forward. I think that all made sense, while not being too vague or upfront, pointing fingers, or whining… right? Let’s switch gears and go to happy! 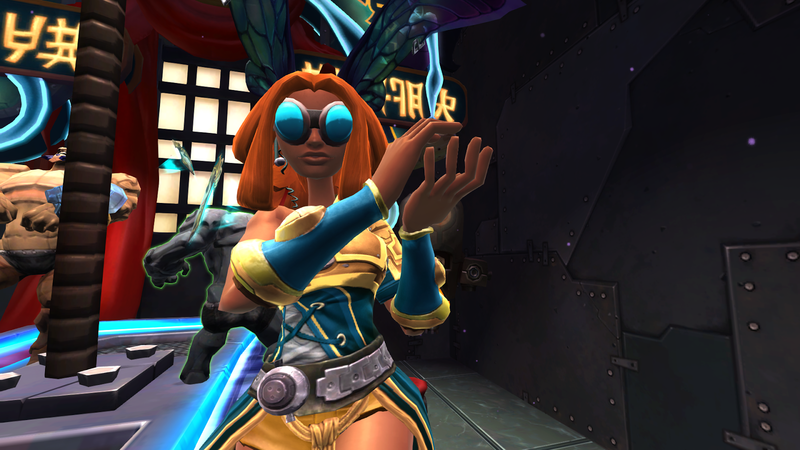 Last night in WildStar, we ran two different Vet Dungeons. We ran a Vet Protostar and downed Squirgnasium for the first time, as well as getting Slimy Feast down to 4%–our lowest yet. We also sent a group into Vet SSM for the first ever time, and I’m waiting to log in tonight to hear how it went. Tomorrow I’m hosting a “Naked Baby Protostar” run. We go in clothes-less and smash faces for a few runs and need on gear we can need and see what kind of outfits we come out with at the end. Think of it like “Naked Karazhan” from the WoW days. I’m hoping we can get two groups of that running and take an awesome screenshot after we’re done. Some guildies are also hosting some RP this weekend, which’ll be a lot of fun, too. Chaide and I picked up FFXIV to play with some folks we thought we might enjoy playing it with to find out, well, we don’t quite enjoy playing with them, as much as we love the game. So, at the kindly offer of Belghast, we ended up moving to Cactuar to hang out with some other Twitter folks, and we’re having a blast. We’re amazed by the hospitality of everybody there in the FC, and we’re loving leveling at our own pace, and having folks that are willing to run things with us as we progress at said pace. We can see FFXIV being our home for a quite a while, long after we’ve hit the WildStar burnout (which we hope is none-too-soon, but we can see it sooner than FFXIV). Also, expect a “First Impressions” post at some point in the near future. For the first time in our lives, we’re in a financial spot where we can afford to subscribe to two games, and it feels wonderful to be able to play different things depending upon scheduled events, or what we just feel like playing at the time, and which amazing group of folks we feel like hanging out with. It’s quite freeing, though we lack the time IRL to do much of anything. In real life, I started a new job and just hit my 90 days not too long ago. It’s in my career choice, which is amazing, and I’m loving what I’m doing, even if the material is kind of bland. But that’s what I’m for! To make it not bland! Plus, I seriously get to write how-to guides and manuals and web training for a living. How can I say no? Chaide is finishing up his teaching degree, and is in the final stretch–he graduates in May! This past month has been hell for him, and also stressful for me as a result. Isn’t it awesome how couples stress together? 😛 We’re looking toward his graduation, and I’m helping him with his resume to find an awesome teaching position. We’re also looking forward to seeing my mother for the first time in almost two years, as she’s coming down for his graduation. In that vein, we’re also looking at a “new” (used) car for me that isn’t a 1990-something van that’s going to die at any moment, as well as starting to look at purchasing our first house, starting to try for a family, all this summer. I get stuck a bit at tying up post endings, but I think as I continue to blog more, I’ll get better at it. Hopefully see you tomorrow with things to say! 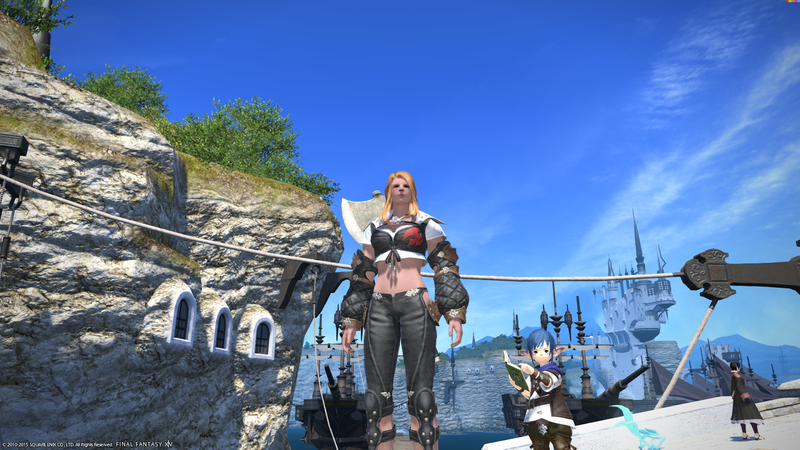 A few years ago, the thought of playing multiple MMOs would've been an incredibly daunting idea. Now though, I feel like my mindset and their accessibility promotes the idea. That's not always a good thing, but I am pleased that more people can branch out and not feel so trapped, myself included. Agreed. And it makes it feel like we can draw out the content as well, based on the fact that we *can* play two games. Much as I loved WoW at the time, the reason I burned out so fast was that I couldn't branch out except to Steam, even though there were other cool MMOs I wanted to check out.